Join us for our fourth year of this charity dinner theater event! Cost: $15. Cost includes food and live entertainment with interactive Arabian Nights Dinner Theatre, but come prepared to pay a handsome ransom! 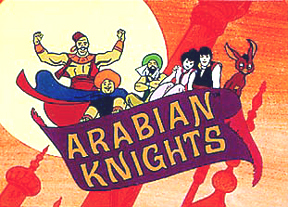 Get in the spirit and come dressed in an Arabian Nights themed costume yourself! Reservations are necessary! Please call David W. Berry at 800.266.8424 ext. 4 or email him at david2011berry@gmail.com to purchase tickets. Space is limited to the first 60 guests, so call now! Join the likes of the rich Sultan, his scheming Vizier, the jovial Genie, and mischievous Monkey, as they rule the Realm and plot ways to separate you from your money! Proceeds benefit Ubar Grotto, the Humanitarian Foundation, and Elizabethtown Chapter, Order of DeMolay.